“The Ford government must stop playing political games with climate action and misleading the people of Ontario. After months of crying wolf in public about a carbon tax recession, today the Ford government proposed a cap-and-trade model for large industrial polluters. But they forgot to add the cap to lower emissions. 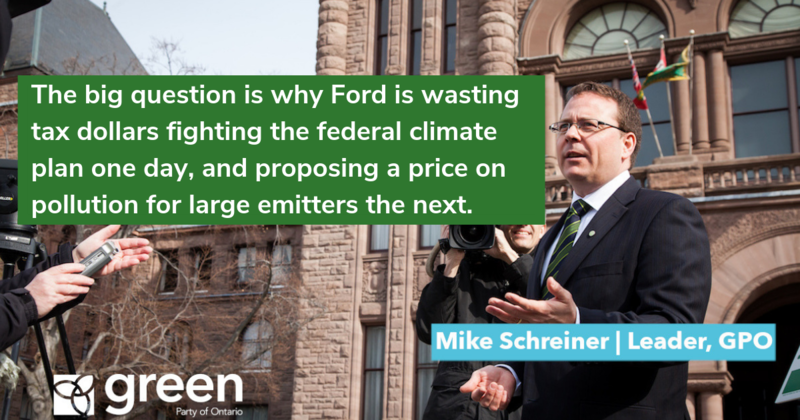 The big question is why Ford is wasting tax dollars fighting the federal climate plan one day, and proposing a price on pollution for large emitters the next? 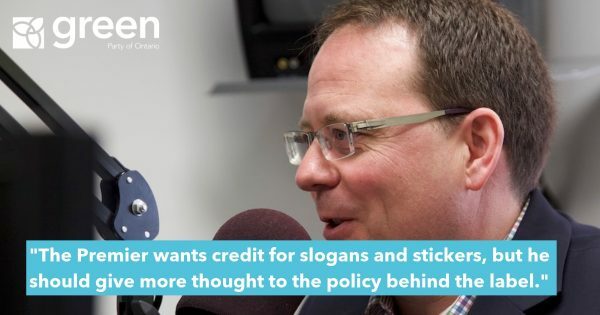 Could it be the Ford government is just covering its back because it knows it will lose its legal challenge against national climate action? 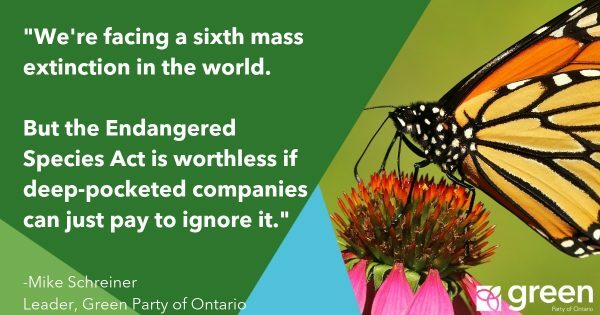 While Ford continues to play politics – dismantling one system and creating another – his actions create uncertainty for business, delay climate action and waste time that we don’t have. Scientists are unequivocal that we have just 1 year to reverse the upward trend in GHG emissions and just 10 years to drastically cut carbon pollution to avert climate catastrophe. Email Not a valid Email. Postal Code Not a valid Postal Code. 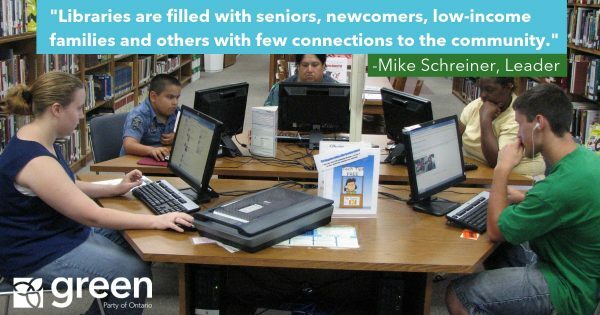 Our party is funded by grassroots supporters like you chipping in what they can, when they can. Stay in touch with updates and news from the Green Party of Ontario.